Andy Wilkins is co-author of a new report called Beyond The Fog: A future for public healthcare which sets out to provide a provocative, ambitious vision for what healthcare might look like in 10 to 15 years’ time. 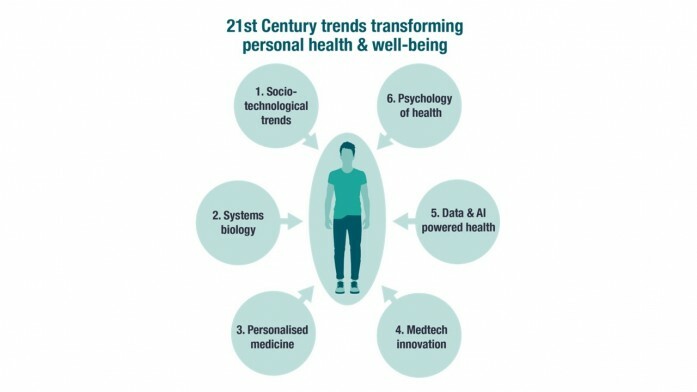 In this fascinating and challenging episode (the first of two) Andy presents the six biggest trends (including technology, future society and systems biology) which he believes will influence changes in healthcare. He looks at the idea of “Always On” healthcare, based on a real-time view of patients and he explains the concept of a Digital Health Coach, effectively an Alexa for the future offering 24 hour advice and support to maintain an individual’s health. Part Two follows next week.